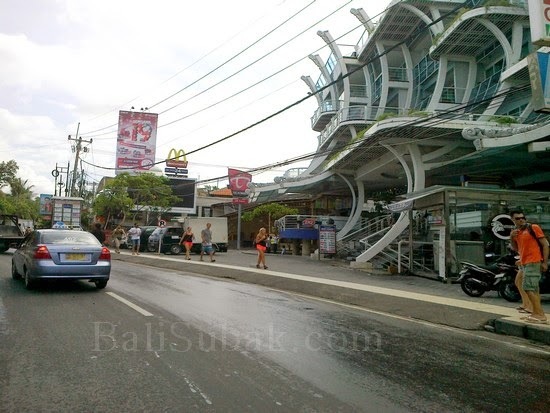 McDonald's Kuta Beach is located right in front of Kuta beach. Just like everywhere else, McDonald's is also selling fast food. Fast food is the most commonly known to people in this store are fried chicken. In addition to selling fried chicken, McDonald's Kuta Beach also provides a variety of fast food. Sphagethi, burger, with cold drinks typical fast food, ie cola beverages. This store is the most visited by foreign tourists. Surely by tourists who feel hungry, but requires fast food at a low price. McDonald's Kuta Beach also sells ice cream, cold drinks. This store makes stand at the roadside to serve people who need a cold drink or ice cream. So someone who needed a drink or ice cream, do not have to go the store, they can order directly on the existing booth alongside a road. Make it easier for pedestrians to get drinks and ice cream in the heat. It is very close to the beach of Kuta, it is certain fast food shop has a very large turnover per day. McDonald's Kuta Beach, located just north of Beachwalk mall, the new mall which is very crowded by people.